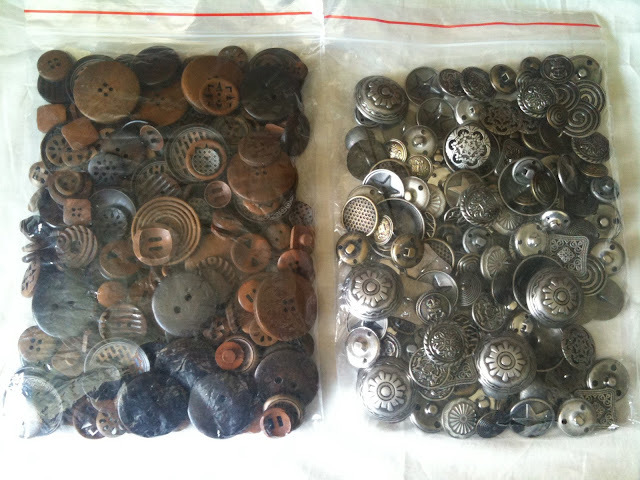 In case you were wondering, this is what 400 buttons looks like. 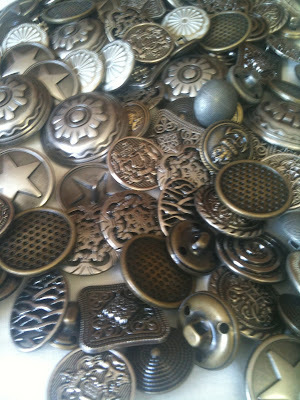 Last week I found myself wandering through etsy when I found this amazing button store called beadic. I was originally just browsing for some wooden buttons to put on a cotton top but I fell in love and bought 10 of pretty much everything. And they were cheap too! I think the most expensive button here turned out to be about 50 cents Australian. Score! 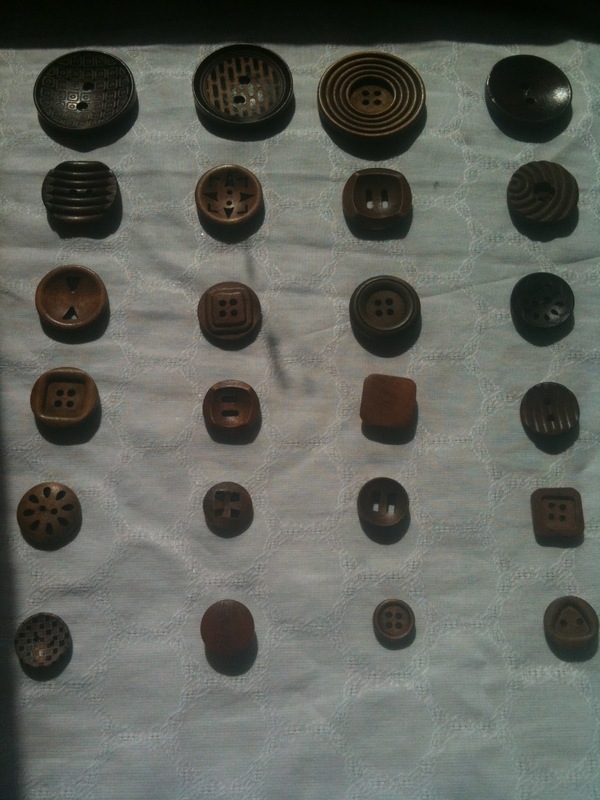 Now I can't wait to make a whole lot of things just so I can put buttons on them! Perhaps now I should learn to do buttonholes? Gorgeous buttons - excellent colours and shapes and textures - you'll use these in ... well .... the next 10 years? Yeah...I didn't really think about how I was going to use so many buttons. Details, details. 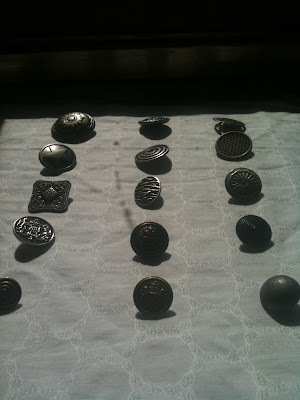 I'm currently working on a top that's taken up a whole 10 of them - hurrah! Hahaha crazy. If you love buttons that much just wait for an upcoming post from me... It might damage your budget a little. They are all really cool buttons though. I can see how it was hard to resist. Hmmm I just checked out that store and there is nothing in it. 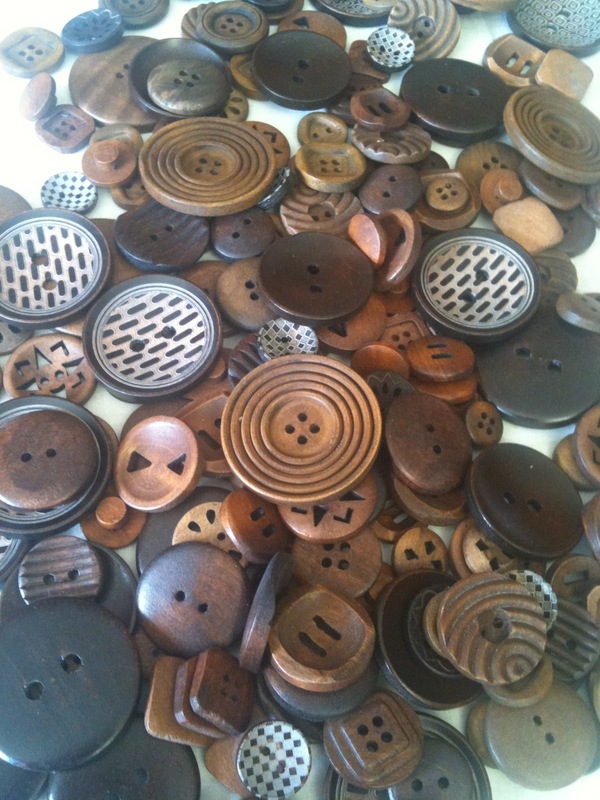 Did you buy alllllllllll of their buttons?